16mm MR MDF laminate doors in a range of prefinished laminate colours and pat-terns with a matching ABS edge, fixed with self-closing hinges to a 16mm double sided white HMR carcass with 2mm PVC black edge. Includes aluminum number. • High recommended for dry area applications only. 16mm MR MDF laminate doors in a range of prefinished laminate colours and pat-terns with a matching ABS edge, fixed with self-closing hinges to a 16mm white PVC carcass. Includes aluminium number plate, standard cabinet locks and keys. 13mm Multipurpose compact laminate doors in a range of prefinished laminate col-ours and patterns with a black polished edge fixed with self-closing hinges to a 16mm white PVC carcass. Includes aluminium number plate, standard cabinet locks and keys. 13mm multipurpose compact laminate doors in a range of pre-finished laminate colours and patterns with a black polished edge fixed with self closing hinges to a 16mm double side white HMR carcass with 2mm PVC black edge to compliment the compact doors. Includes standard cabinet locks & keys. 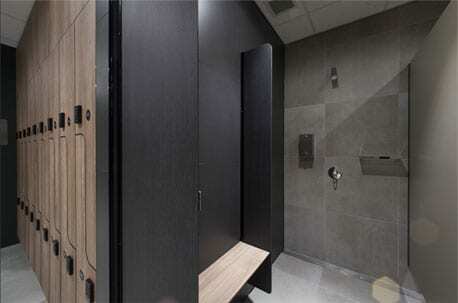 Zed step locker door design to maximise hanging space and locker functionality. 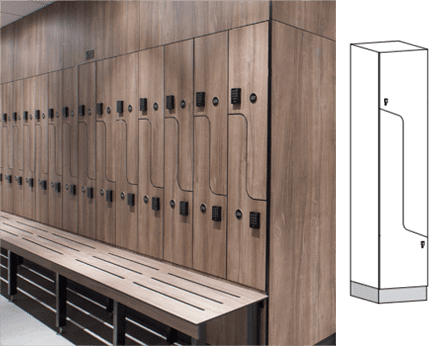 Kirkbuilds locker systems offer custom design’s made from market leading materials that are both functional and robust solutions to your storage needs. 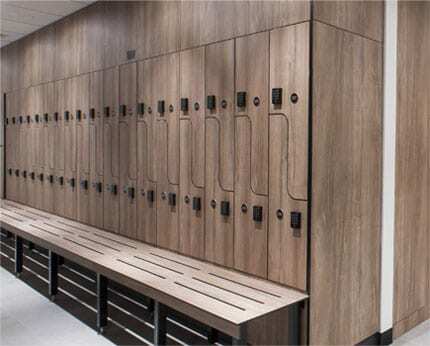 We offer a wide range of material choices for both the internal carcass and doors that are designed to withstand the rigours of harsh environments such as schools, changerooms, holiday parks and theme parks. 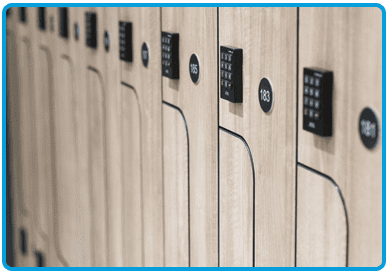 To complement our locker systems we also have endless choices of locker number and lock options that can be tailor designed to suit your needs. Optional accessories add those extra little creature comforts to maximise the storage . We accommodate all budgets from a base melamine board design made for dry area use to an extremely rigid and durable compact laminate system. 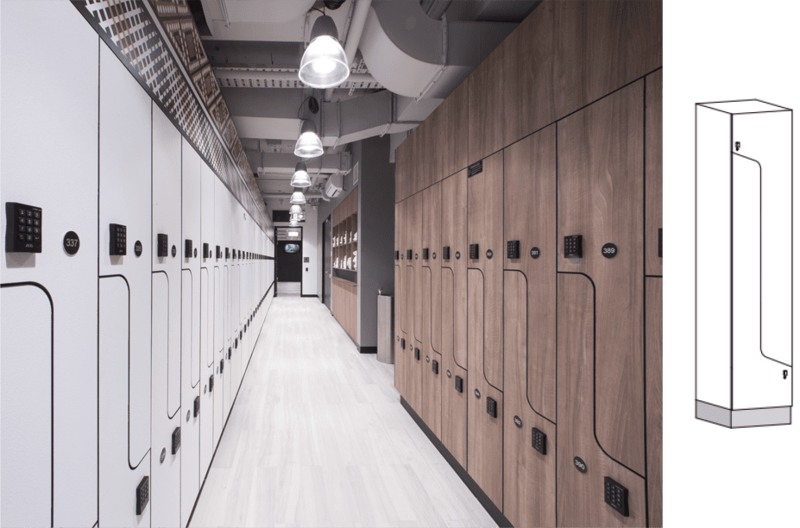 Kirkbuild will be able to design a locker system that meets all your design, functionality, durability and budget needs.